Today I will share a very important article on my experiences in Mantra Sadhana and Hanuman Bhakti and how a Mantra is always underestimated by people especially by people who do not have a Guru. In this post, I am writing about a Yakshini called the Mahabhaya Yakshini, the special quality attributed to this Yakshini is that, she is said to bestow the Sadhak with boon of Eternal Youth. Many Hindu Tantric scriptures have spoken about this paranormal force or ability prevalent in nature, which is said to prevent aging and being forever youthful. This can also be considered to be a form of immortality. 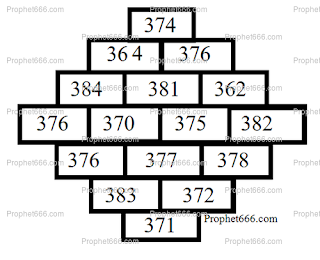 The Yantra about, which information has been given in this post is a special Money and Business Attracting Yantra, which is especially prepared for burying under the seat or sitting place of the owner or the person who is primarily responsible for the management of the shop. 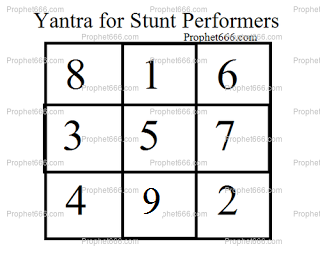 The Yantra is said to beneficial in increasing the business of the shop by attracting money, business and customers. Most people, including Tantriks are unaware about the existence of certain mystical beings [can be termed as Goddesses] described in certain rare Hindu Tantrik Texts. In this post, I have written about a simple, straightforward, yet most difficult to accomplish Mantra Sadhana to become a Siddha Purush. 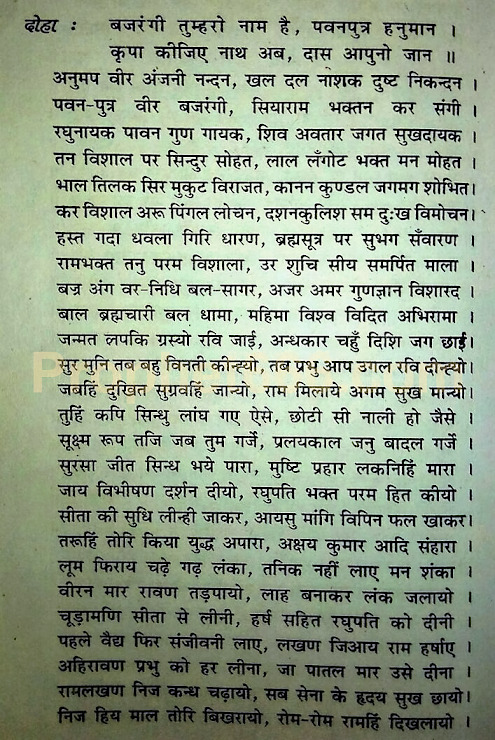 The word in the context of this Mantra means a Master, Superman or Yogi for whom nothing is impossible, the one who does not need to strive for Siddhis, Siddhis automatically become attracted towards him and whatever he says becomes Satya Vachan. In many previous posts, we have spoken about the most powerful Mantra Sadhanas of the Dasha-Mahavidyas Goddess Bagalamukhi. The worship of Bagalamukhi as explained in earlier articles is one of the most powerful forms of worship to annihilate and subdue enemies, including the most powerful and resourceful ones. In this post is described a Tantrik Baglamukhi Mantra Prayoga to get success in court cases, litigations or any kind of legal matter, which involves the most dangerous, stubborn or powerful opponents or enemies. Akashic Records is a term, which denotes the sum total or compilation of the records of each and every event that occurs or has ever occurred in the life span of each and every living entity in the Cosmos. The term Akashic Records probably originated from the studies of Theosophical thinkers who did extensive research on the composition of the Universal Energy or Cosmic-Consciousness and journey of the soul. Described by me in this post is a Gayatri Mantra Remedy which is practiced by Gayatri Upasaks to cure and get relief from diabetics. This Gayatri Mantra Remedy is a slight variation of the most sacred and revered Gayatri Mantra along with the addition of another Hindu Healing Mantra and a simple healing Tantra. Diabetics is a most common yet potentially dangerous and life threatening disease which affects a sizable percentage of the world’s population. People suffering from any of the major types of diabetics can if they wish practice this Mantra Experiment along with their on-going medications. 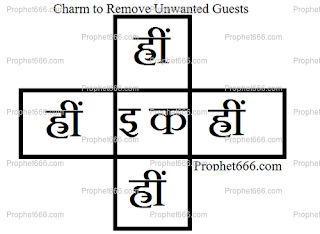 In this post, I have described a most simple Indian Protection Charm to prevent and put an end to shoplifting or any other kinds of thefts, which are normally faced by shopkeepers. 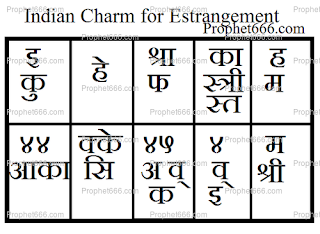 This charm, which vibrates to a specify numerological vibration can be broadly categorized as a special Yantra. 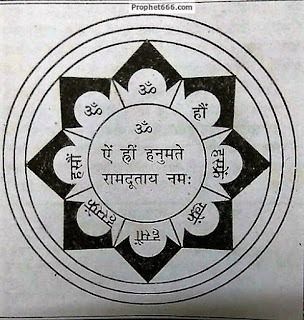 This Yantra is free from the normal rituals, rules and prescriptions that have to be followed while preparing Yantras, which is why, I have termed it to be a charm.